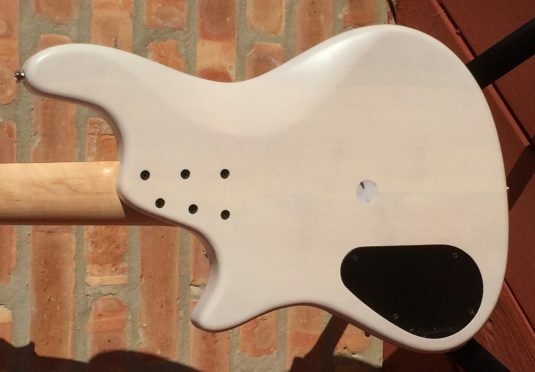 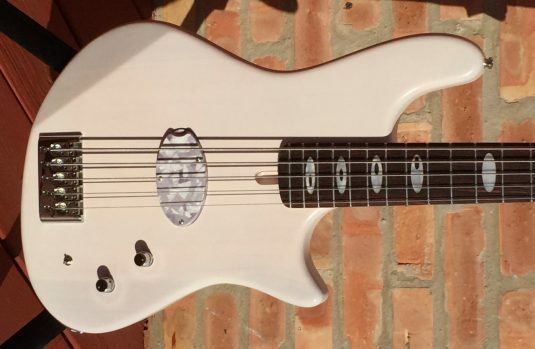 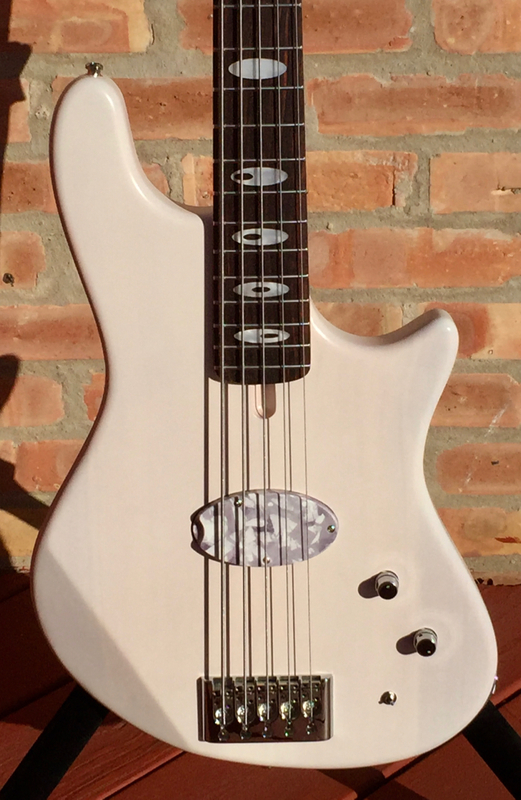 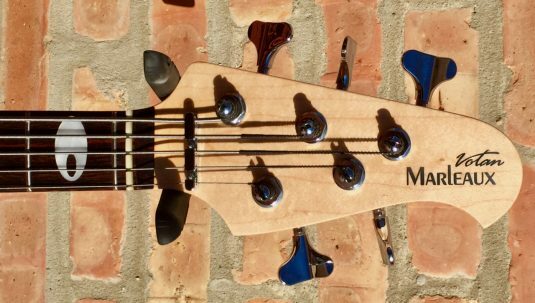 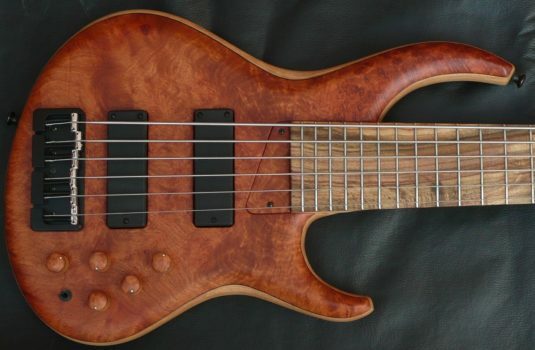 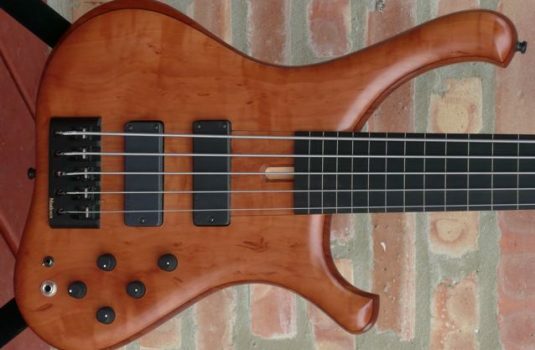 Here we have a custom one-off bass by Gerald Marleaux. 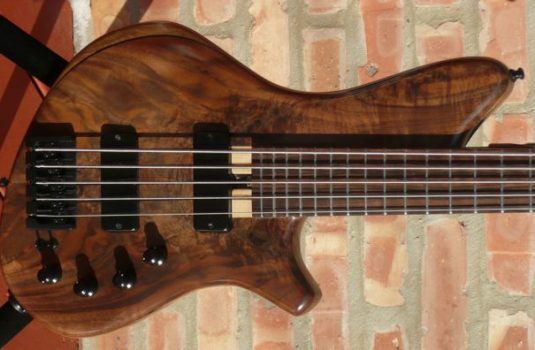 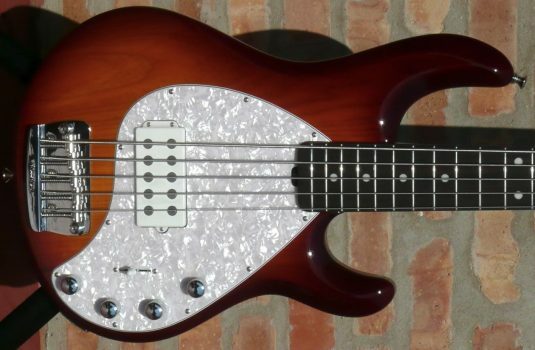 What a cool bass this ! 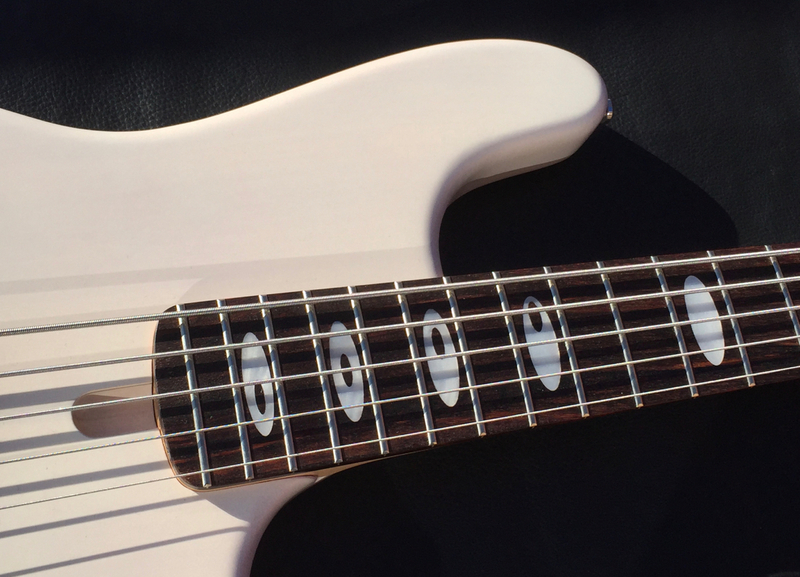 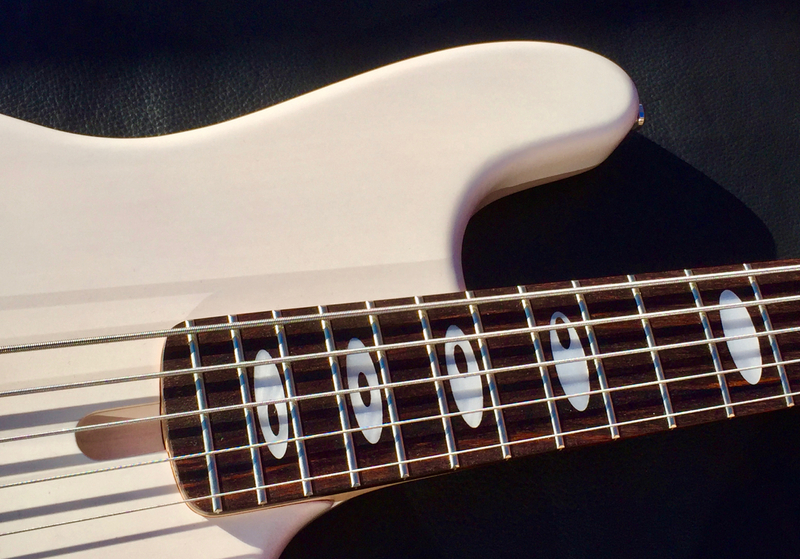 Currently tuned EADGC – get your solo chops together.